This weekend, the Nasher Sculpture Prize will be officially presented to German artist Isa Genzken. She’s had a four-decades-long career, creating everything from elegantly simple sculptures to miniature skyscrapers made of discarded plastic to disturbing, sprawling installations. Genzken won’t be attending Saturday’s gala, but Art & Seek’s Jerome Weeks says this isn’t unusual for the enigmatic artist. In contemporary European art, Isa Genzken’s a pioneer, a legendary figure. In America – not so much. The Dallas Museum of Art may be the only major Texas museum with a sculpture of hers in its collection. It’s one of Genzken’s series of ‘doors’ from the late ‘80s. Actually, the artwork resembles a low, crude, concrete wall on a steel pedestal. It’s blunt and simple – like a chunk of abstract minimalism left outside to fall apart. 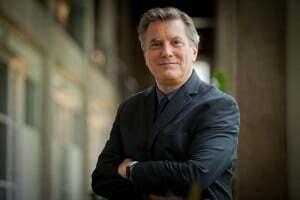 Hoptman is executive director of the Drawing Center in New York. In 2014, she was one of the curators of Genzken’s first major retrospective in the U.S. The show ran in New York, Chicago and at the DMA. 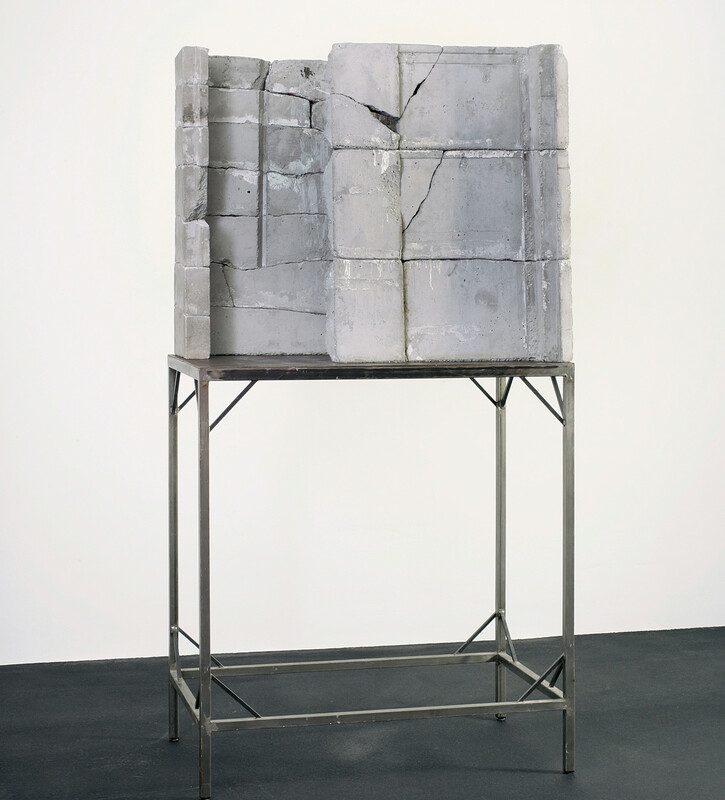 Hoptman argues that the backstory with ‘Door’ – its references to architecture and the spectacle and decay of urban life – all of these recur in Genzken’s art. Berlin and New York have been Genzken’s homes. She went to university in one and eventually moved there – when it was re-building after it had been bombed flat in World War II. She lived in the other when the Twin Towers were destroyed. Needless to say, her deeply disquieting, sometimes even chaotic-seeming works reflect these locations and events. What’s also reflected: her love of both cities, even as she has decried the transformation of old Berlin into yet more international, glass-boxed, corporate towers and luxury high-rises. 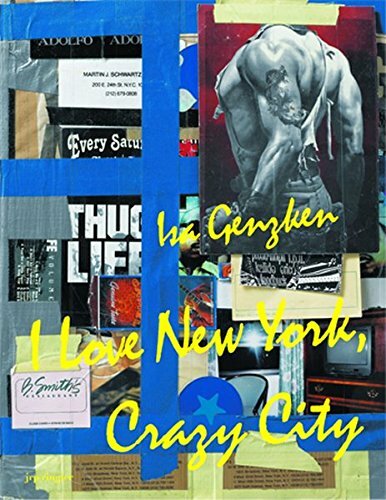 While in Manhattan, Genzken created three collage books chronicling her life there. They were assembled together as ‘I Love New York City, Crazy City’ (1995-’96). They contain diary entries, takeout menus, calendars, performance programs, selfie photos, all of them tracing Genzken’s wandering, club-hopping life there, staying in everything from high-end hotels and youth hostels to, yes, a hospital. On a more colossal urban scale, both cities have perhaps Genzken’s most popular, public works: painted-steel roses, 26-feet-tall. Hoptman calls them Genzken’s bouquets but also notes they have more than romantic connotations: The rose is the traditional symbol of German democratic socialism. And one of the two roses in New York is in Zucotti Park, the site of the Occupy Wall Street protests. Genzken may return to certain, central ideas about alienation, commodification and urban space, but Hoptman grants she can still be hard to peg as an artist, which contributes to her relative obscurity outside of Europe. She’s been boldly creative in so many different directions. Hoptman compares her to Zelig, the Woody Allen character who kept changing and popping up in different eras. 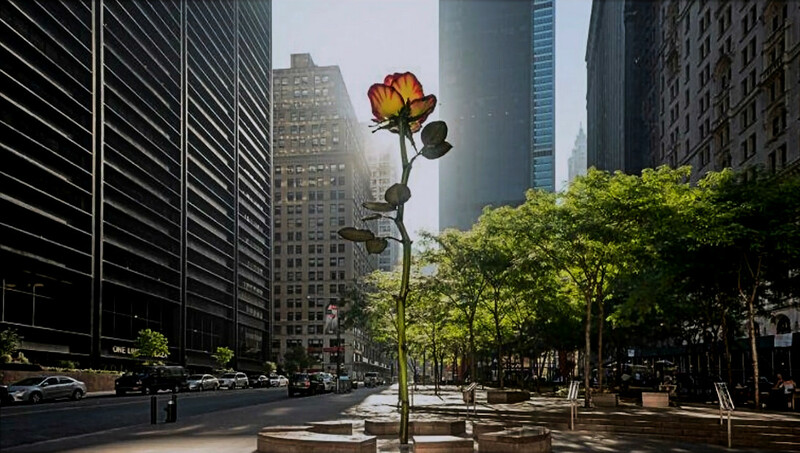 Isa Genzken’s ‘Rose’ in Zucotti Park in New York City – the location of the Occupy Wall Street protests. 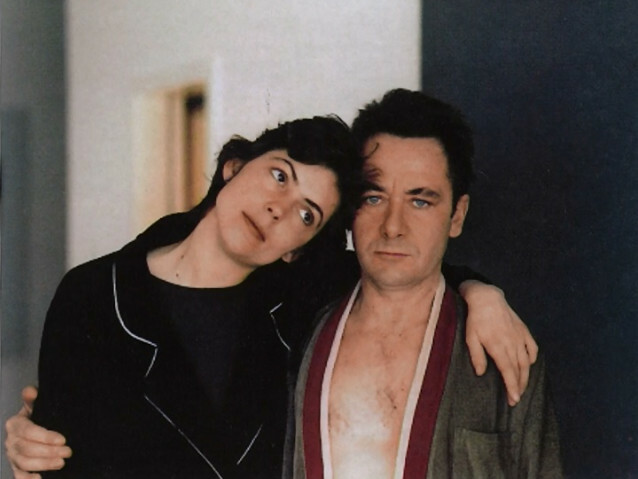 Isa Genzken and Gerhard Richter. Even at her simplest, Genzken has been innovative. Her earliest, most beguiling sculptures are long wooden poles with gentle curves – called ‘elipsoids’ or ‘hyperbolos’ (top). 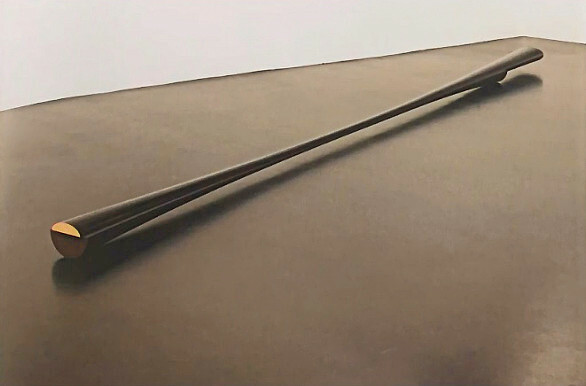 The curves allow the pole, when lying on the floor, to seem as if it’s floating above it. Those curves are derived from audio waves, and in the late ‘70s, they could not have been carved by hand – not without help. Much later, Genzken used store mannequins in her provocative, ragged-looking assemblages, littered with cheap or discarded items. 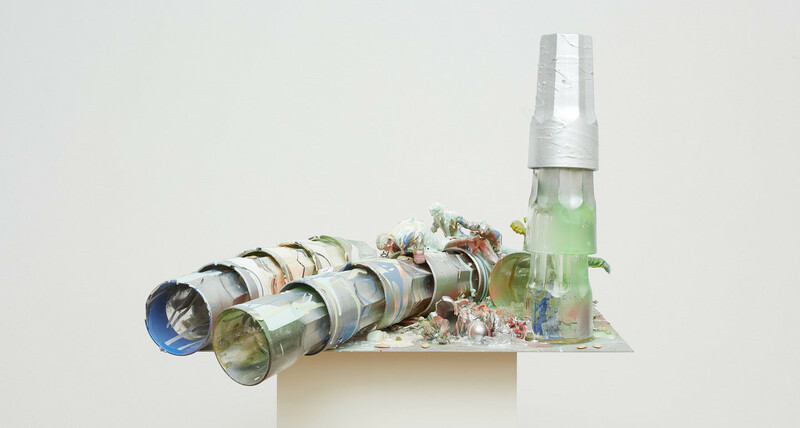 It’s these assemblages – table-top-sized or whole-room installations – that are her trademark work these days. But it’s revealing that Genzken doesn’t call the mannequins either mannequins or ‘statues.’ For her, they’re ‘schauspieler‘ – ‘actors’ – meaning her installations are akin to stage dramas or a movie scenes. Again, she’s telling a story (even in the relatively small ‘Empire/Vampire’ below, note the presence of toy action figures). But Hoptman says another reason Genzken has not had a typical rise toward international renown is simple. Sexism. Richter was initially Genzken’s teacher. So some attributed Genzken’s early success to his influence. But both belong to the post-war German generation; there was bound to be some overlap in their thinking. Both, for instance, have defiantly confronted their country’s Nazi past – even when that included their own families. Genzken’s grandfather was a Nazi doctor. Richter painted a famous portrait of his ‘Uncle Rudi’ – in full Wehrmacht uniform and coat. After ten years, Genzken and Richter divorced bitterly. Since then, Genzken has spoken publicly about her treatment for bipolar disorder and alcoholism. Her life has had its troubles – and its chaos. But Hoptman argues that it’s a cheap form of biographical criticism to attribute the aggressively disjointed and oddly lonely-seeming nature of Genzken’s contemporary work to her recent mental issues. After all, Genzken was evoking Berlin’s blasted, crumbling walls and turning cinder blocks into silent, uncommunicative ‘transistor radios’ as long ago as the 1980s. Temperamental male artists get excused as geniuses. Difficult female artists can lose careers. And Genzken has certainly been unpredictable and … ‘difficult.’ She once had a friend artist interview her for a short videotape – titled ‘Why I Don’t Do Interviews.” During a ‘New York Times’ interview in 2014, she left in mid-interview. She wasn’t angry – she had just wandered off to look through the Museum of Modern Art’s galleries. And that same year, when that major retrospective came to the DMA, it was announced Genzken would be at the opening. Then it was announced she wouldn’t be. Then, to the surprise of the DMA officials themselves, Genzken just … showed up. Because of the artist’s current poor health, that’s not likely to happen at the Nasher gala. But it’s just like Genzken that even her public appearances carry stories with them. Image outfront of floating astronauts: Isa Genzken, Oil XI, 2007. Vinyl, plastic, and aluminum suitcases; silk screen on laminated fabric; jackets; stuffed animals; plastic; paper; frames; and three fabric-and-plastic space suits; 20 parts: overall dimensions variable. 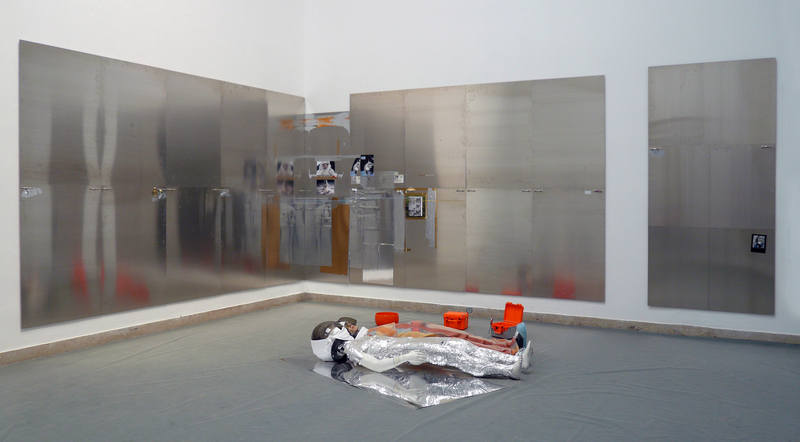 Installation view at the German Pavilion, 52nd Venice Biennial, Venice, Jun 10–Nov 21, 2007. © Isa Genzken courtesy of the artist and Galerie Buchholz, Cologne/Berlin. Photo: Jan Bitter, Berlin.